Jerry Coyne was all ready to jump on the New Yorker article about the Southern Poverty Law Center but somehow missed the New Yorker article that demonstrates Trump's alignment with the Intellectual Dark Web as well as the free speech grifters called Trump’s Free-Speech Executive Order and the Right’s Fixation on Campus Politics. You better believe Quillette immediately jumped in to praise Trump. It will be interesting to see if the Trump administration takes a reactive or a proactive approach to restricting funding, warning offending colleges of their intent to strip funding unless something changes. Either way, the Executive Order is a step in the right direction. The requirement that colleges adhere to a transparent speech code which protects academic debate in return for federal dollars is both reasonable and measured. It empowers the Federal Government to be better stewards of public funds, while upholding the rights of its student citizens. The right’s fixation on campus politics has never had much to do with realities on the ground, of course. William F. Buckley’s jeremiad against the power and influence of leftists in the academy, “God and Man at Yale,” was published in 1951, a time when leftists were being hounded out of their jobs at American universities and elsewhere by a Second Red Scare. The victimization narrative has changed little since then, even as the conservative movement has come to wield an extraordinary amount of power in American politics and life—so much so that they’ve managed to enlist a President of the United States as an ally in their undergraduate squabbles. 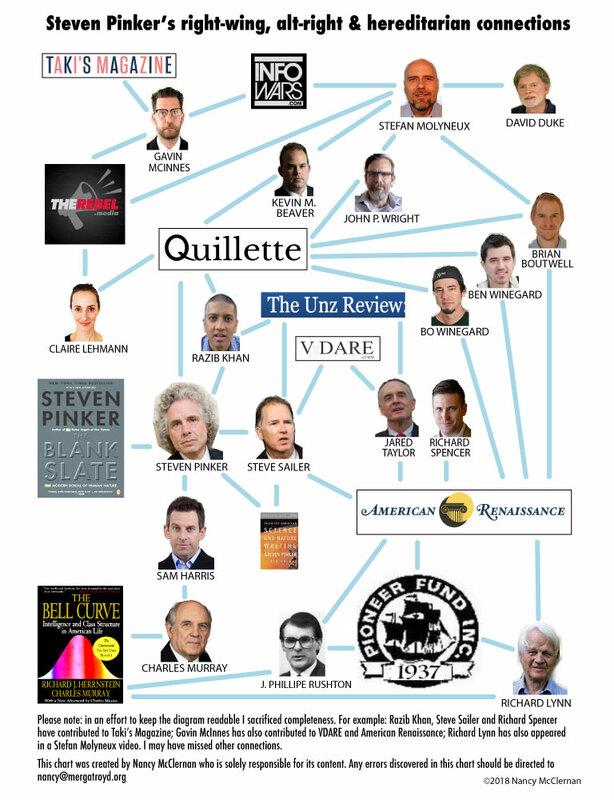 So of course the IDW and Quillette are doing it too - because Quillette also leans right, per the web site AllSides. Even though Claire Lehmann claims it's centrist.